Drilling near Nuclear Reactors gives new meaning to "Energy Boom"
Chesapeake Energy has a permit for hydraulic fracking just one mile from the Beaver Valley Nuclear Power Station in Shippingport, PA. That’s about 30 miles northwest of Pittsburgh. The big question is whether blasting away at Marcellus shale might cause a different sort of energy boom at the power station. The PA Department of Environmental Protection told the press that there are no “required setbacks” specifically related to drilling distances from nuclear facilities. On the other hand, they know of no other well located near a nuclear facility. And the Nuclear Regulatory Commission doesn’t seem to have any guidelines about this matter, either. 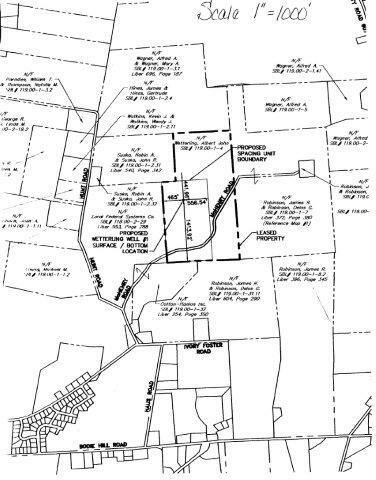 One concern is the potential for seismic activity related to injection wells used to store Marcellus drilling wastes. 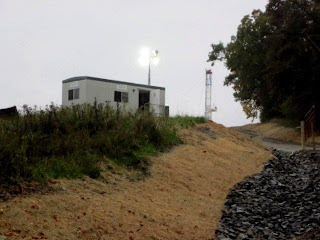 Not a concern now, say the drillers – because this is a gas well, not an injection well. But just three years ago Chesapeake was looking to turn an old gas well in Pulteney, NY into an injection well. Ever since the earthquake that hit Japan, and the ensuing damage to the Fukushima reactor, seismic activity has been high on the list of “things we oughta be concerned about” for the nuclear facilities managers. As for the folks near Shippingport, PA, a 2010 NRC report found that the Beaver Valley Power Station was ranked the in the top five “most vulnerable” to earthquake damage in the US. Read more here. PHILADELPHIA (Oct. 18, 2012) -- The U.S. Environmental Protection Agency announced today that Atlas Resources LLC will pay an $84,506 penalty to settle alleged air and hazardous chemical violations at its natural gas production facility in Avella, Washington County, Pa.
EPA cited the company for violating the Emergency Planning and Community Right-to-Know Act (EPCRA), a federal law designed to inform the public and emergency responders about hazardous and toxic chemicals in their communities. EPCRA requires facilities to submit annual reports on regulated chemicals, and routine and accidental chemical releases. The law also requires facilities to report on their hazardous chemicals to state and local emergency response agencies. This information helps communities and first responders to prepare for chemical emergencies. Atlas was also cited for violating Clean Air Act provisions which require regulated facilities to take steps to reduce the risk of accidental releases of hazardous substances, and minimize the consequences of any accidental releases that do occur. EPA alleged that Atlas failed to provide state and local emergency responders required information on hazardous chemicals stored at the company’s Avella production facility during 2008 and 2009. The agency also alleged that Atlas did not comply with proper storage and handling of natural gas condensate at the site. EPA’s investigation at various Atlas production wells in Washington County also indicated the presence of vapor releases from condensate tanks. As a part of the settlement, Atlas did not admit or deny EPA’s allegations. Currently, Atlas has discontinued operation of its natural gas extraction wells in Washington County until the company completes audits at eight of their production facilities located there. These audits are being done to ensure compliance with safeguards preventing accidental air releases and confirming that operations are environmentally sound. 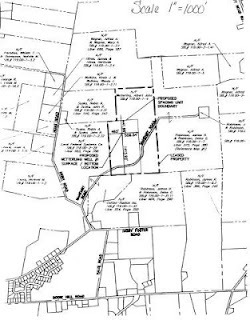 The Atlas facilities in Washington County to be audited are located in Hopewell Township and Cross Creek Township. The company will conduct the audits based on EPA’s recently adopted New Source Performance Standards and National Emission Standards for hazardous air pollutants in the oil and gas sector. Compliance with these industry and federal standards will help improve local air quality and protect public health. For more information on EPA’s air rules for the oil and natural gas industry http://www.epa.gov/airquality/oilandgas/. Koabel well: not producing, not plugged, just forgotten and rusting. 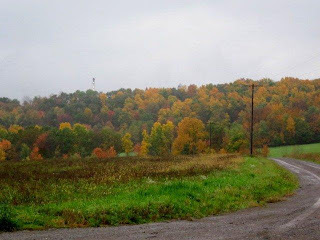 In June, Shell was drilling a well down in Tioga county (PA) when a 30-foot geyser of methane and water shot up out of the ground. It was still shooting out a week later. That gas didn't come from any of the wells that Shell was drilling. 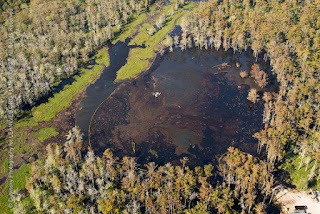 What most likely happened, say state regulators, is that the hydro-fracking activity at Shell's wells displaced shallow pockets of gas that moved underground until it found a route to the surface. Those routes can be water wells and old or abandoned gas or water wells. 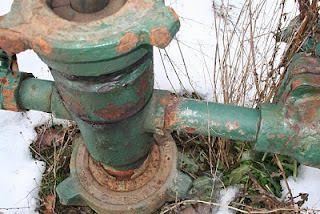 The problem, according to Fred Baldassare, is that old abandoned gas wells can have leaky, rotten or even nonexistent casings. He should know, because he studied well problems for PA's Department of Environmental Protection for 25 years. Methane can eas­ily move into nat­ural faults and cracks, fol­low­ing a path toward the sur­face that can travel through aquifers - and that, he thinks, is most likely how gas ended up geysering 30 feet into the sky. There are tens of thousands of abandoned, unplugged and forgotten gas wells in the Appalachian gas fields. The NY Department of Environmental Conservation's Division of Mineral Resources sees those wells as a major problem. 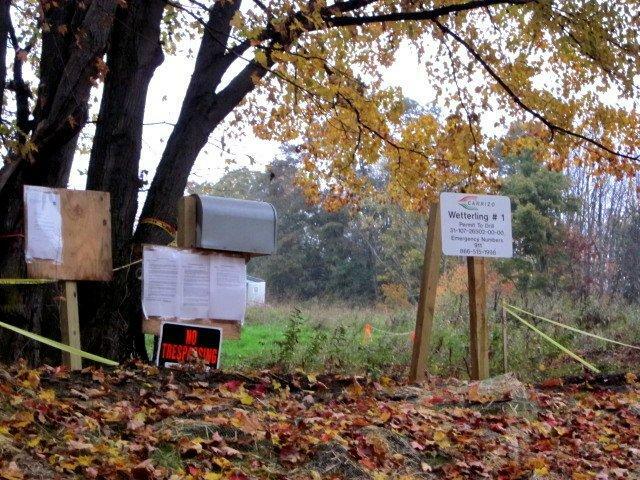 Their annual reports list 4800 known abandoned wells, but state regulators believe there are at least that many (possibly more) yet to be discovered. They could be in forests, playgrounds, beneath backyards and even under buildings. 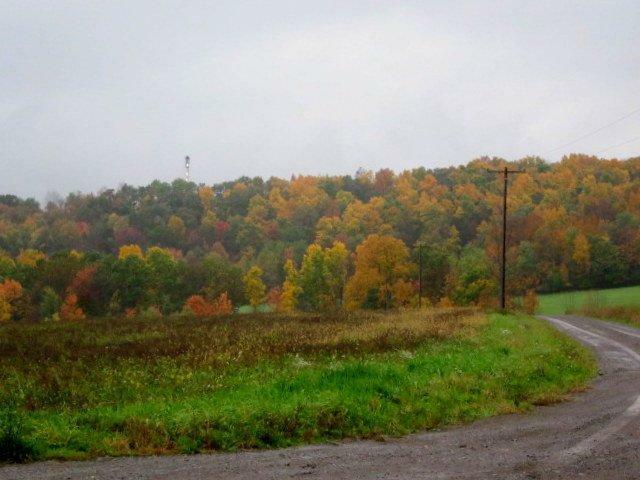 According to the New York Times, people looking for second homes don't want to buy property in the Marcellus region. Leased properties are a "tough sell", and even those that aren't leased aren't getting many bites. That's because people are concerned about potential contamination and lowered property values. 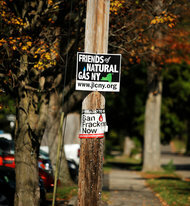 The same day this article appeared, the League of Women Voters and Vestal Residents for Safe Energy (VERSE) hosted a meeting on the impacts of gas leasing on home ownership. Some of the concerns: homeowners insurance won't cover industrial accidents such as brine spills; mortgages don't allow oil and gas leasing; and declining property values where there are problems with drilling impacts. Read more about how gas leases conflict with mortgage rules here and here.